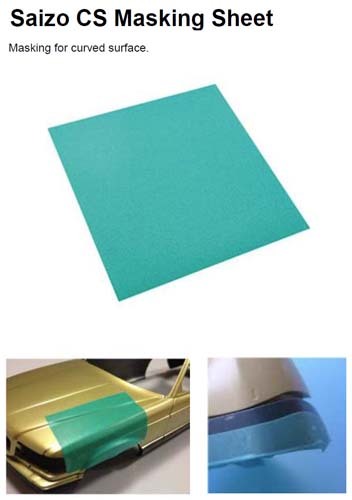 This is a flexible and stretchable masking film sheet. The sheet film great for masking curved surfaces. Generally, when masking a curved surface with standard masking tape, it makes wrinkles and leaves painting mistakes. This masking sheet is flexible and prevents wrinkles. This is a sheet, so you can cover a surface, not just a line. You can also cut a sheet and make any size and form you like. The sheet size is 100mm x 200mm and two film sheets are included per pack.